Dailybuzz.ch: Kelly Rowland Is Pregnant! 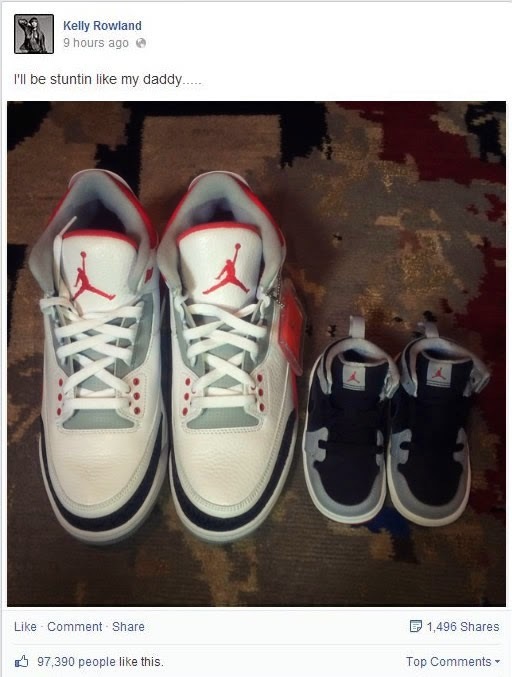 Kelly Rowland broke the news of her pregnancy via Instagram on Tuesday, June 10, posting a picture of a pair of baby Jordan sneakers. "I'll be stuntin like my daddy." 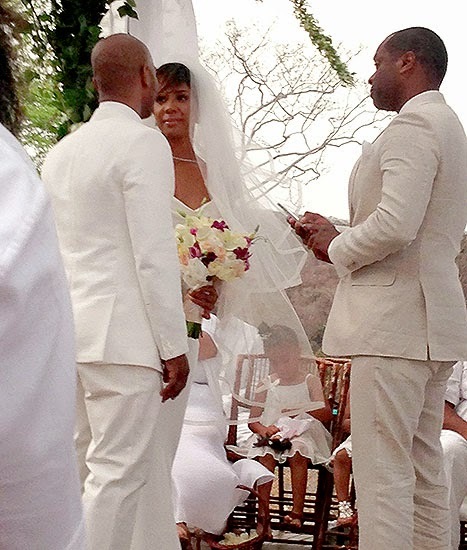 The Destiny's Child singer married her manager and boyfriend Tim Witherspoon just last month in an intimate wedding in Costa Rica. In an exclusive interview with Us Weekly on June 10, the songstress said her wedding was simply "perfect." "Perfect. That's [all I'll say.] Perfect. Perfect day," Rowland said. The 33-year-old newlywed has been busy working on new music as of late for Pepsi's Beats of the Beautiful Game album, in celebration of the upcoming World Cup. "I’m very excited. I think the whole project is a really, really cool idea in marrying…music and visual and art all together," Rowland said of the album, which also features Janelle Monae, Rita Ora, Timbaland and more. Rowland said when it came to recording her new song "The Game" off the album, she remembered specifically her first soccer game. "I remembered my first soccer game and how much crazy energy was in the stadium and I wanted that feeling to be on the track, so I remember recording the verse like two or three times to make sure [it was right.]" Although Rowland won't be attending the World Cup, she admits she will be "in front of a huge television hopefully with other people who are going absolutely nuts about the game." And not to mention, with some precious cargo in tow!